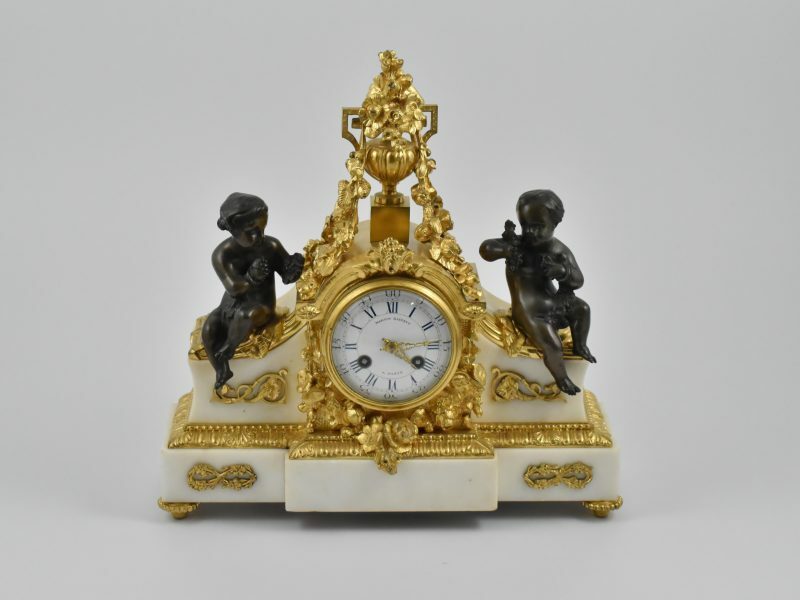 A mid-19th century French gilt bronze and ormolu figural mantel clock by Raingo Frere, Paris serial number 1503. 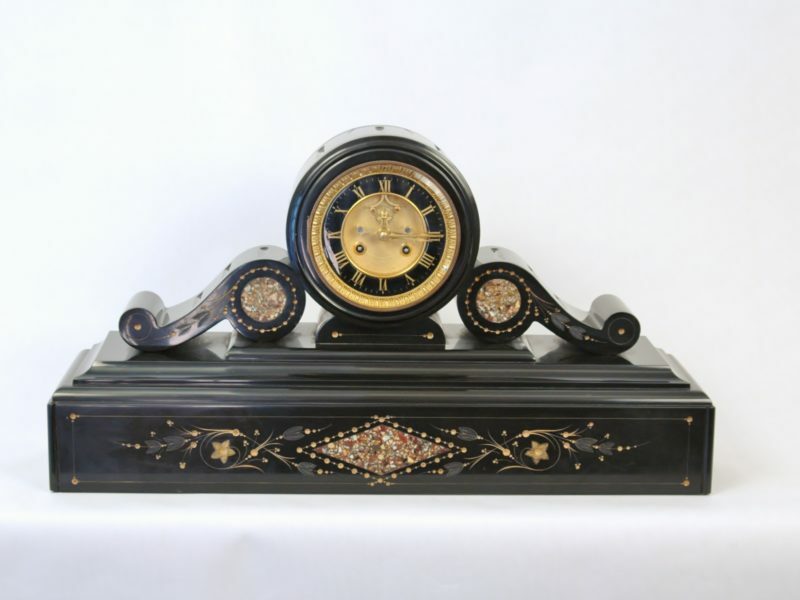 The dial marked for the retailer Martin Baskett, Paris. 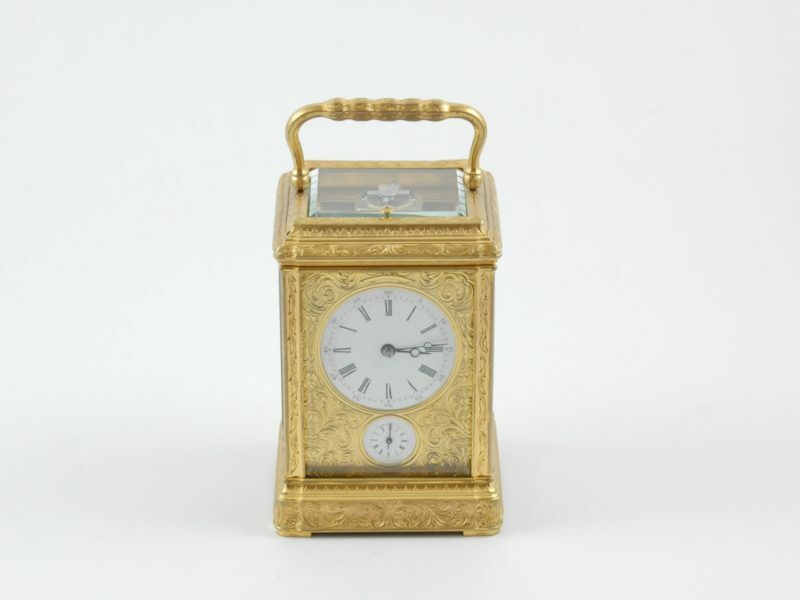 Mid-20th century eight-day crystal, bronze and marble table clock with Swiss movement by Hahn Landeron, numbered 7032. 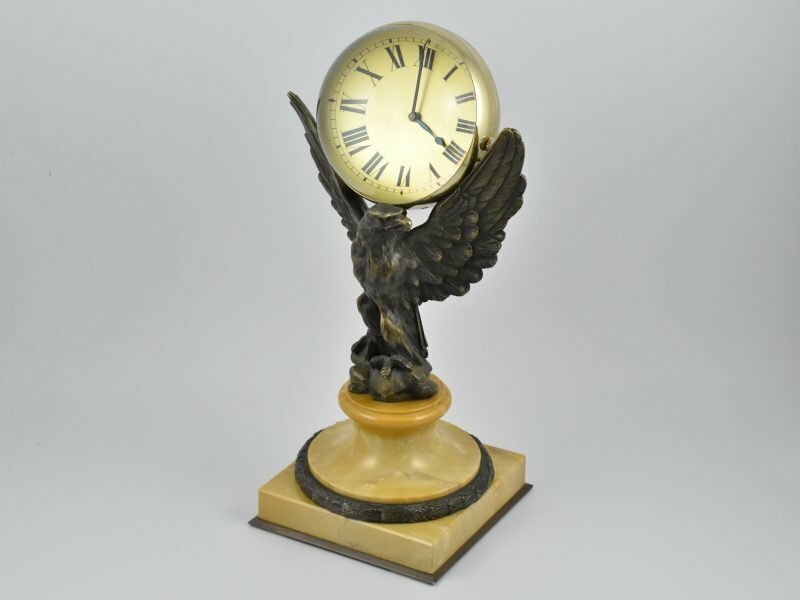 Early 20th century French slate cased clock with visible jeweled escapement, Outside countwheel and Brocot suspension. 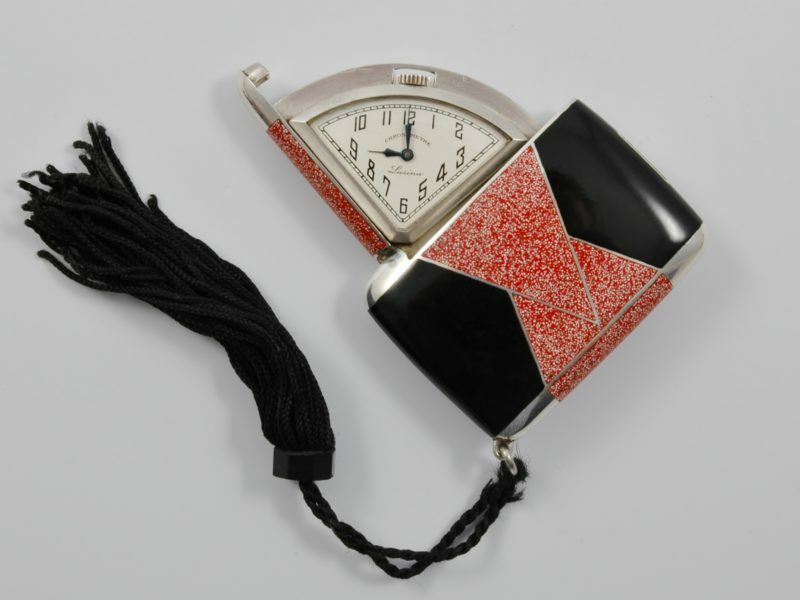 Lusina Art Deco silver and enamel folding watch, circa 1930.